Below is a comprehensive list of hotels in Grange Arch. Use the sort links to refine your search or to find featured accommodation in Grange Arch. Many of our hotels in Grange Arch feature no booking fees and best price guarantee when booked through the Pictures of England website. To list your hotel in Grange Arch, click here. 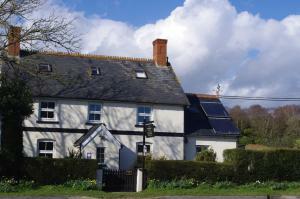 Featuring free WiFi throughout the property, Bradle Farmhouse offers accommodation in Wareham, 7 km from Monkey World. Free private parking is availab..
Pebbles is a holiday home set in Wareham, 1.8 km from Monkey World. The unit is 1.9 km from Wareham Town Museum. Free WiFi is offered throughout the p..
Inglenook is a holiday home set in Wareham in the Dorset Region and is 1.8 km from Monkey World. The unit is 1.9 km from Wareham Town Museum. Free WiF.. Featuring a garden with a seasonal outdoor pool, Coach House is a holiday home situated in Wareham in the Dorset Region. It provides free private park..
With open views of the surrounding Dorset countryside, The Priory Hotel is nestled within 4 acres of English cottage gardens beside the River Frome. 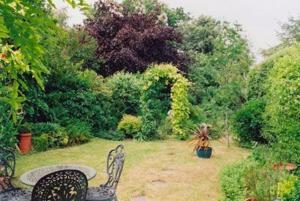 F..
Wren Cottage is a holiday home with a garden, set in Wareham, 1 km from Monkey World. Featuring free private parking, the cottage is 700 metres from W..
Simkin is a holiday home with a garden, set in Wareham. The property is 1 km from Monkey World and free private parking is offered. 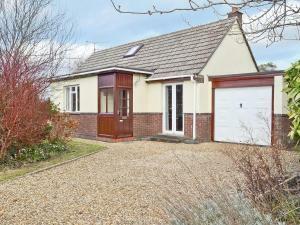 An oven and a toa..
Set in Wareham, this holiday home is located 300 metres from Monkey World. The property is 100 metres from Wareham Town Museum and boasts views of the.. 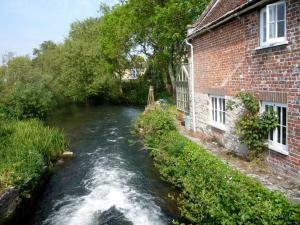 Featuring free WiFi, Ammonite Bed & Breakfast offers accommodation in Corfe Castle. Free private parking is available on site. All rooms include a fl.. Ideally situated on Wareham’s crossroads, The Red Lion is at the gateway to the Jurassic Coast. 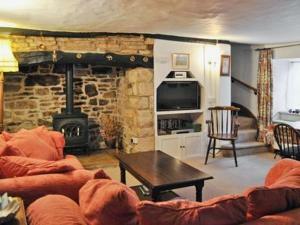 It boasts a traditional English pub and restaurant, ..
Rose Cottage offers pet-friendly accommodation in Corfe Castle. The unit is 16 km from Bournemouth. There is a dining area and a kitchen as well as a.. Featuring free WiFi and a terrace, Olivers offers accommodation in Corfe Castle, 16 km from Bournemouth. There is a water park on site and guests can .. Featuring free WiFi, Anglebury House is situated in Wareham, 400 metres from Monkey World. Guests can enjoy the on-site restaurant. Free private parki.. 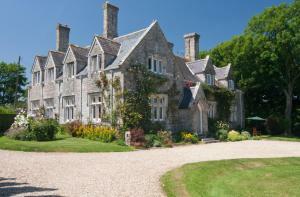 This beautiful 16th-century manor house offers incredible views across the Dorset countryside from its terrace. Located in the lovely village of Corfe.. 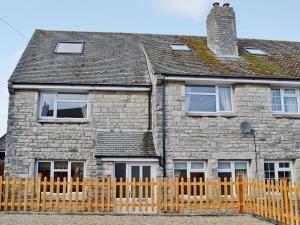 The Old Guildhall is a holiday home with a barbecue, situated in Corfe Castle in the Dorset Region. The unit is 16 km from Bournemouth. A dishwasher ..
Holmebridge House is a 19-century property with rooms offering views of the open countryside. A large, free on-site parking facility is provided and g..
North Mill offers accommodation in Wareham. This unique property has an ancient watermill on site. Monkey World is 7 miles from the property. Both ro..
Set in Corfe Castle, this holiday home is located 16 km from Bournemouth. The unit is 28 km from Weymouth. Free WiFi is offered throughout the propert.. 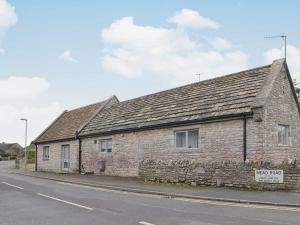 Located 16 km from Bournemouth, Old Telephone Exchange offers accommodation in Corfe Castle. 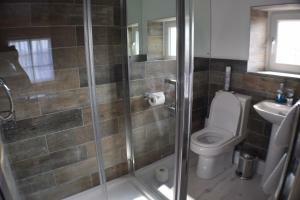 The property is 29 km from Weymouth and free private park..